I went into this book doing something I try so hard not to do. I hoped. I hoped this book was going to whisk me away and make me fall in love and be everything I wanted it to be. Usually, hoping about books leads to disappointment. When I’m disappointed in a book, it’s hard for me to look past my hopes and dreams and find a way to love a book despite not living up to expectations. Let the Sky Fall not only lived up to what I had hoped, it soared so far past my hopes that I didn’t know what to do with myself when I finished. I literally sat in my chair and stared at a wall for five minutes because I just didn’t know what I was supposed to do with myself. The story is told from Vane and Audra’s points of view. Vane can’t remember what his life was like before he lost his family to a tornado. Audra knows exactly what Vane is missing, but doesn’t want him to remember one part of it. Audra must keep Vane safe at all costs, but doing so puts both of them at jeopardy for feelings they shouldn’t have. The story of the sylphs is something I had never read before. The world of the sylphs is so wonderfully crafted, that I could almost believe there are true sylphs that walk among us. Messenger created a parallel world that fits so perfectly into our real one that I found myself looking at the trees move in the wind tonight and wondered who was controlling it. The relationship between Audra and Vane is sweet and powerful. There’s something there that I can’t explain. It just fits. It’s like when you see those elderly couples in love, 75 years later, and you know that there is just something between them that isn’t supposed to have a name. It goes beyond love and I can’t say enough how much I loved it. The only negative thing I can say about this book is that I have to wait forever for the next one. I’ll be reading this book several times between now and when the net novel is released. This is definitely a must read book. 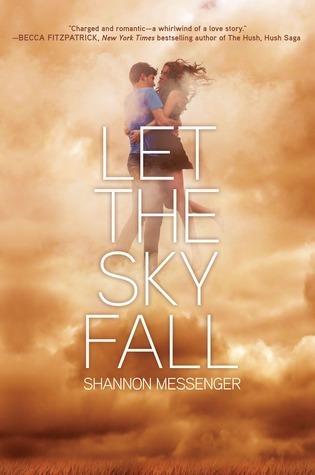 This entry was posted in Something a Little Different, The Must Reads, Young (and New) Adult and tagged Fantasy, Must-Reads, Paranormal, Seriously...You Must Read This, Shannon Messenger, Supernatural.